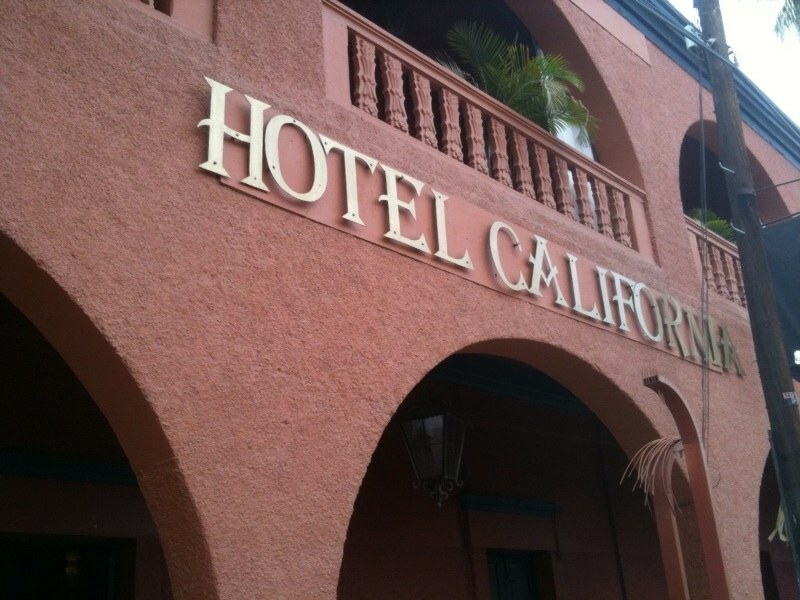 Hotel California. We all know the Eagle’s lyrics describing a mystical place where you can check out, but truly never leave. To me that’s Mexico. So no surprise, the hotel itself resides in Baja California Sur, Mexico. Sure I left Mexico and in a way “checked out” – but did I ever leave? Nope. Not really. 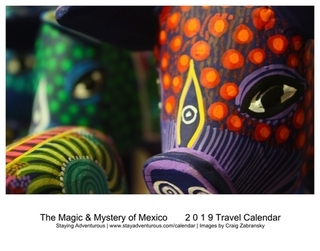 My days in DF (Mexico City) along with my recent travels and adventures seem to shape me. The memories, the magic, the madness. I truly never left. 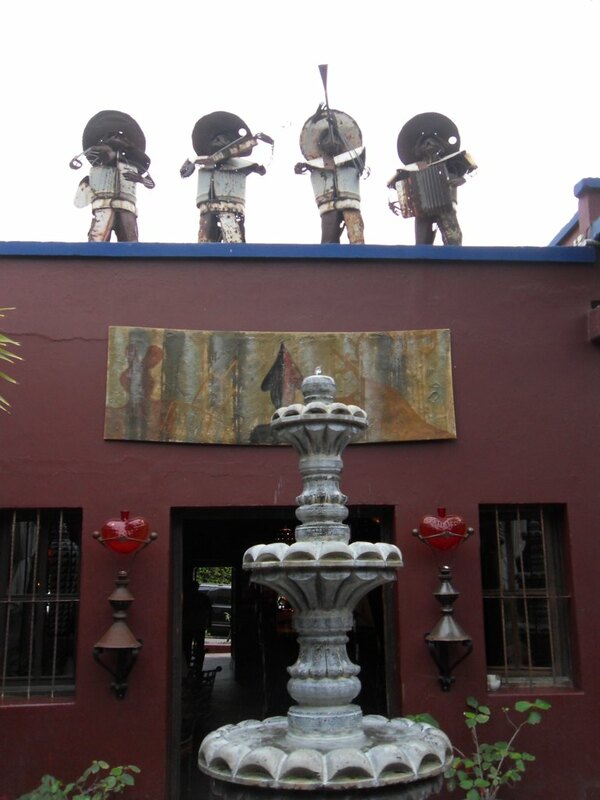 So, on my last trip to Los Cabos I headed a little north up Baja and decided to tour Todo Santos. There I spent an afternoon walking through the streets admiring the local artists work in the many art galleries. Viewing the sculptures, paintings along with a stop at the street side cafe for a strong coffee made for a relaxing day about the town. And I even smiled as I walked by the church and the mission bell. Classic. But my travels required one more stop. 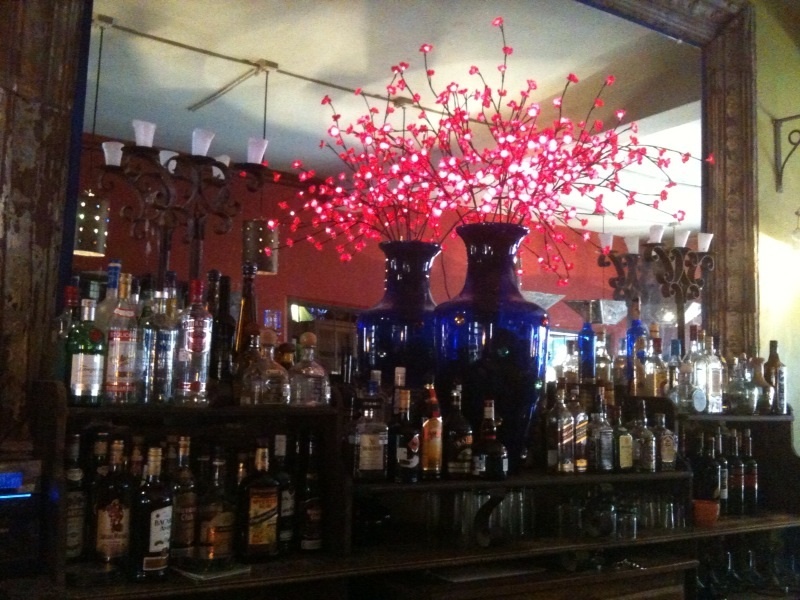 And after the tourist buses left to return the cruise passengers to Los Cabos, I settled in for a drink. The Eagles soundtrack switched over to Jack Johnson and I sipped a special margarita enjoying the surprisingly trendy, hip scene. Then, I opened my journal and started to write my own lyrics. To write how special Mexico has been to me. It’s magic and its madness. 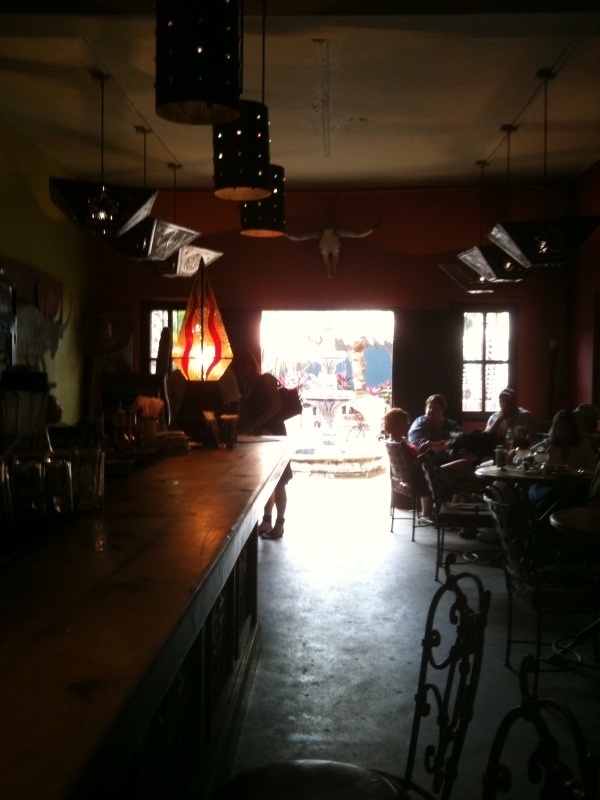 The view of the bar.. But as the day neared its end and with plans to see the brilliance of a Baja Sunset I decided to check out. To leave my Mexican memories on the page, cash out and return to Rancho Pescadero. But I knew even as my travels to Baja came to a close, I’d be back to Mexico. As the song says, you can never leave. And frankly, I am not sure I ever want to. Day 2 of 20 day Mexico Bicentennial Tribute. You know what song will be stuck in my head all day now…Not that it’s a bad thing! 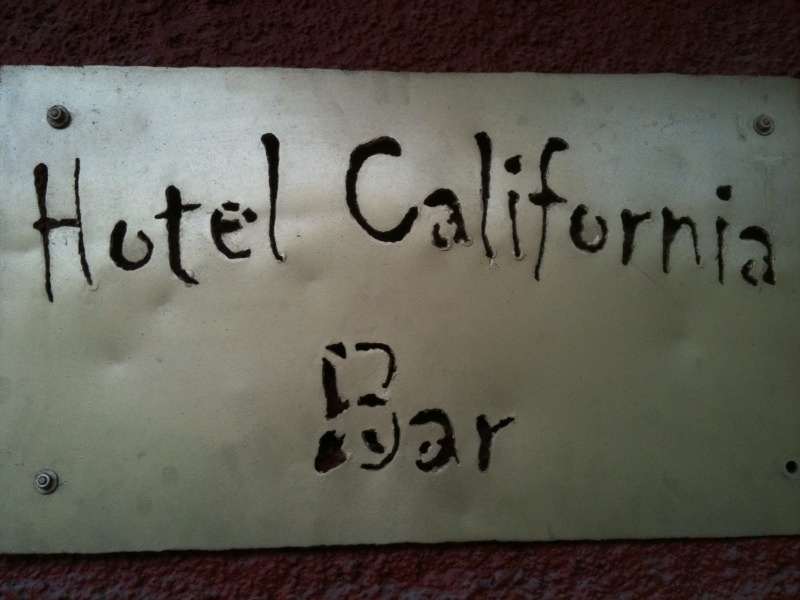 “Hotel California” has been a favorite song of mine as long as I can remember. And I can so well understand when you talk about checking out of Mexico but never truly leaving. That has been my experience ever since my last trip there.